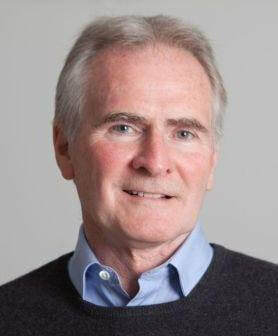 Tom Burns is Professor Emeritus of Social Psychiatry at the University of Oxford. His research was predominantly health services research in community psychiatry, particularly complex interventions. He has published six books and over 300 papers including RCTs of case management, vocational rehabilitation and Community Treatment Orders. Our Necessary Shadow: The Nature and Meaning of Psychiatry, is his book on psychiatry for the general reader published by Penguin in 2014. He was awarded the CBE in 2006 for services to mental health care. He remains interested in the centrality of relationships in psychiatry and the need for increased rigour, and attention to, research in psychiatry. He has recently coordinated a symposium to mark the 40thanniversary of the Basaglia’s revolutionary Italian Law 180 which will be published by Oxford University Press in 2019. I am a Reader in Clinical Psychology and Digital Mental Health at the Institute of Psychiatry, Psychology and Neuroscience, KCL where I lead the Virtual Reality Lab,and I am a Honorary Consultant Clinical Psychologist at the South London and Maudsley NHS Trust. I am the incoming President of the IEPA-Early Intervention in Mental Health Association. In my career to date I have sought to conduct research, which is clinically relevant and directly applicable to the delivery of clinical services. My work has focused on the prevention and early detection of mental health problems, in particular psychosis. I have extensive experience in service implementation in the community and I set up the first service for prevention and early detection of psychosis in a prison setting. I conduct experimental studies using virtual reality to explore the effects of adverse life experiences on the appraisal of social situations. I lead clinical studies to evaluate virtual reality assisted assessment and treatment. I am Professor of Biological Psychiatry at the University of Edinburgh. I trained in Medicine in Aberdeen before completing my postgraduate psychiatric and statistical training in Edinburgh. I lead the Generation Scotland Expert Working Group for Psychiatric Disorders, co-chair the Major Depressive Disorder Working Group of the Psychiatric Genomics Consortium and I lead depression-focussed grants on population cohort studies, genomics, global mental health and data science. My main interests are in the field of depression and resilience. Eugenio Aguglia is Full Professor of Psychiatry at the Faculty of Medicine of the University of Catania in Italy. His scientific production consist of about 450 works. Most of them, of an experimental nature, deal with issues concerning psychopharmacology, psychiatric epidemiology, alcoholism eating disorders and dementia; others are about psychopathology and the nosograpics framing of the various psychopathological emergences. Dr. Micali, MD, MRCPsych, PhD, FAED, is Professor of Child and Adolescent Psychiatry at the University of Geneva and head of the Child and Adolescent Psychiatry Division, Geneva University Hospital. She received her MD from the University of Messina School of Medicine in Italy, and her PhD from the Institute of Psychiatry, King’s College London. She trained in Child and Adolescent Psychiatry, with a specialty in Eating Disorders at the Maudsley Hospital and Institute of Psychiatry, London, UK, and as an epidemiologist at the London School of Hygiene and Tropical Medicine, London, before becoming a Senior Lecturer and Consultant Psychiatrist at the Institute of Child health, University College London and Great Ormond Street Hospital. Most recently she was Associate Professor of psychiatry at the Icahn School of Medicine at Mount Sinai, New York, US. Over the course of her career, Dr. Micali has written over 100-peer reviewed papers and has given over 50 lectures and presentations around the world. She serves as an elected executive member of several societies, including the Eating Disorders Research Society (for she served as president in 2015). Dr. Micali’s research focuses on understanding biological and intergenerational risk for eating disorders using a developmental perspective. Her research has investigated the epidemiology of adolescent eating disorders and behaviors and their etiology, including genetic, brain and intergenerational factors; the biological and brain basis of ‘at risk’ status; as well as pregnancy and perinatal effects on development of maternal eating disorders. The impact of Dr. Micali’s research is underscored by her role on editorial boards of top journals in the field, including European Child and Adolescent Psychiatry, Molecular Autism and British Journal of Psychiatry Open.She has several research collaborations across Europe and the US. Dr. Micali’s contributions to the field of eating disorders have been recognized by several awards, most notably a prestigious fellowship by the Academy of Eating Disorders, her election as 2015 President of the Eating Disorders Research Society, and several prizes. Dr Evangelos Vassos is a practicing Consultant Psychiatrist in Oxford Health NHS Trust and a Senior Clinical Research Fellow at the Institute of Psychiatry, Psychology and Neurosciences, King’s College London, UK. 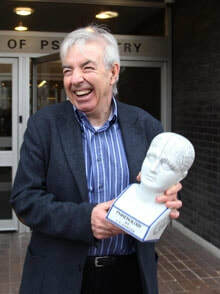 He holds a Medical Degree and a Doctorate of Philosophy from the Medical School of the University of Athens, Greece and he trained in psychiatry in Oxford UK. Dr Vassos is investigating the genetic underpinnings of psychosis. His current work is focused on the development and validation of risk estimation models for psychosis based on genetic and environmental risk factors. He has performed genome-wide association analysis and polygenic score analysis in samples of individuals with first episode psychosis and prodromal psychotic symptoms. He has extensive experience in genetic association studies of candidate genes for schizophrenia and bipolar disorder, genetic epidemiology studies measuring familiality/heritability of dimensions of psychosis, and genotype-phenotype correlations in Huntington’s disease. 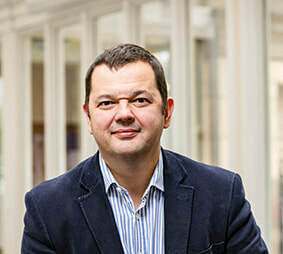 Dr Vassos is a member of a number of professional and learned societies, including the Schizophrenia International Research Society and the International Society of Psychiatric Genetics as well as the Psychiatric Genomics Consortium. He particularly enjoys lecturing in MSc courses and supervising trainee psychiatrists, MSc and PhD students. Chloe Wong is a Lecturer of Epigenetics at the Institute of Psychiatry, Psychology and Neuroscience’s MRC Social, Genetic and Developmental Psychiatry Centre, King’s College London. She received a PhD in Epigenetics from King’s College London in 2012 and has been appointed as a Lecturer of Epigenetics since June 2013. Chloe’s main research interest lies primary in psychiatric epigenetics, with a particular focus on neurodevelopmental behaviors and disorders such as severe psychosocial stress exposure and autism. She has extensive experience in cutting-edge epigenetic profiling approaches and bioinformatics analyses. In addition to research, Chloe also plays an active role in undergraduate and postgraduate teaching and have a Postgraduate Certificate in Academic Practice (PGCAP; King’s College London 2014). She is a Fellow of the Higher Education Academy and the Genetics module leader for MSc Social, Genetic and Developmental Psychiatry and MSc Genes Environment and Development. Isobel Heyman qualified in medicine at University College London and gained a PhD in developmental neurobiology, before training as a child psychiatrist at the Maudsley Hospital and Institute of Psychiatry, London. She is now a full-time clinical psychiatrist working in the UK National Health Service, at Great Ormond Street Hospital for Children, where she leads a team specialising in liaison/consultation psychiatry and neuropsychiatry. She is an Honorary Professor at the Institute of Child Health, University College London. She founded and led the first national paediatric OCD service in the UK, and for many years carried out research in OCD and related conditions. She has over 100 peer-reviewed publications, as well as book chapters and reviews. She advises, teaches and trains nationally and internationally on neuropsychiatry, child psychiatric practice and service strategy. In her current job, alongside her clinical work, she runs a research program on service delivery, focusing on integrating physical and mental health care. Recognising that treatable psychiatric disorders commonly accompany physical ill-health in children, but are often undetected, her aim is to improve detection of psychiatric disorders, and early evidence-based intervention, in these children. She is committed to raising awareness and reducing stigma in relation to mental health, and has been actively involved in public education and media productions. In 2015 the Royal College of Psychiatrists named her Psychiatrist of the Year, and in 2018 awarded her Psychological Medicine Team UK CAMHS Team of the Year. 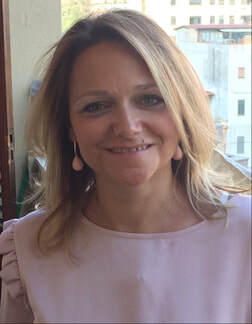 Giada Tripoli, MSc in clinical psychology from University of Palermo, is currently a Ph.D. student at the Department of Psychosis Studies at the Institute of Psychiatry, Psychology and Neuroscience (IoPPN) - King’s College London. Her research is focused on cognition and social cognition as intermediate phenotypes of Psychosis and their association with cannabis use. Dr Diego Quattrone is a psychiatrist at the National Psychosis Service, South London and Maudsley NHS Foundation trust (SLaM). He is involved in complex care for people with treatment resistant and co-morbid psychosis. ​Diego is also research assistant at the Institute of Psychiatry, King's College London, where he is pursuing his PhD project looking at genetic and biological processes underpinning dimensions of psychopathology in cannabis-associated psychosis. Dr Quattrone is a Board Member of the Italian Society of Psychiatry - Young Section (SIP Giovani), and has served in the European Federation of Psychiatric Trainees.